You cannot open the BIM file. 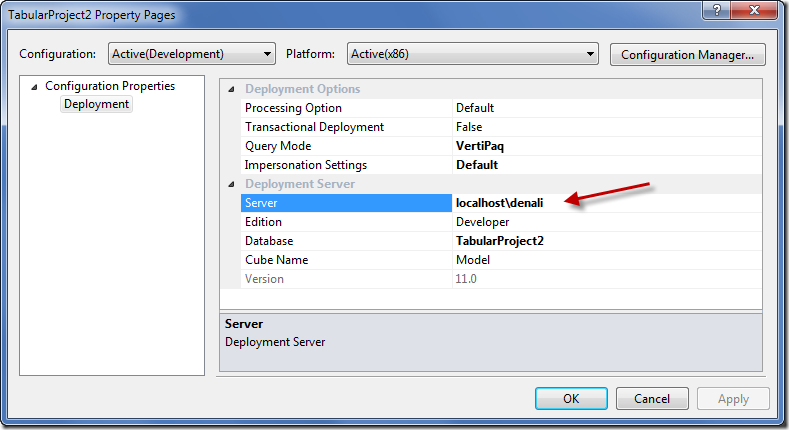 Reason: The workspace database server ‘localhost’ was not found. 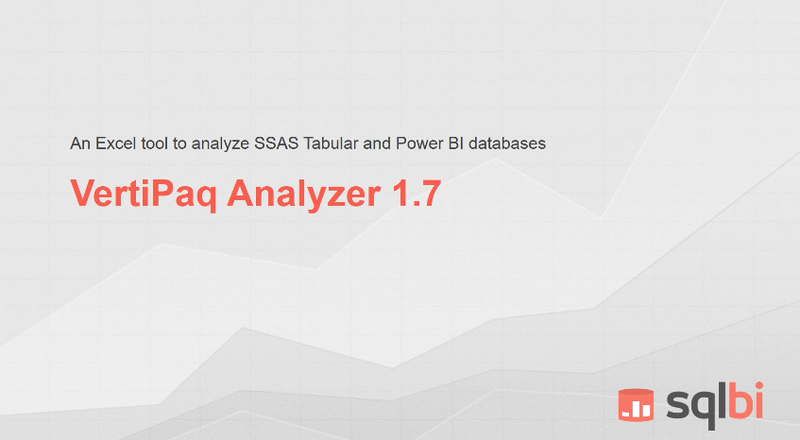 Verify that there is an Analysis Services server instance running on ‘localhost’ in VertiPaq mode. 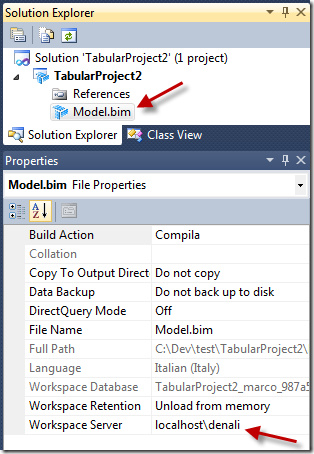 To change the workspace database server for the selected BIM file ‘Model.bim’, in Solution Explorer, select the BIM file ‘Model.bim’ and then in the Properties window, change the workspace database server. 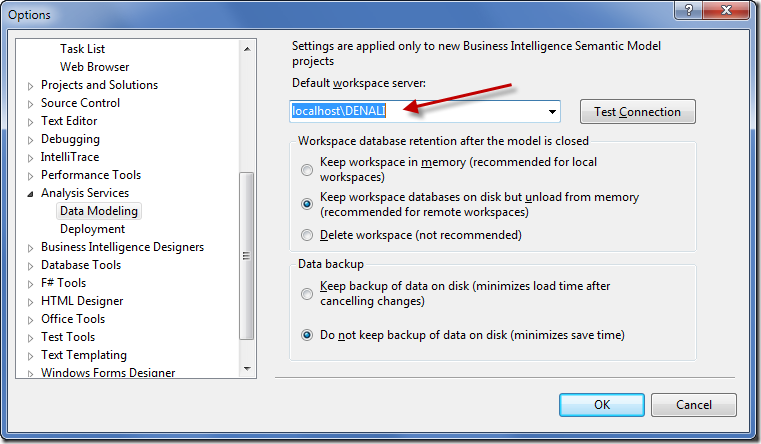 As you can see, in the previous screenshot I changed these settings to my SSAS Tabular instance (localhostdenali). 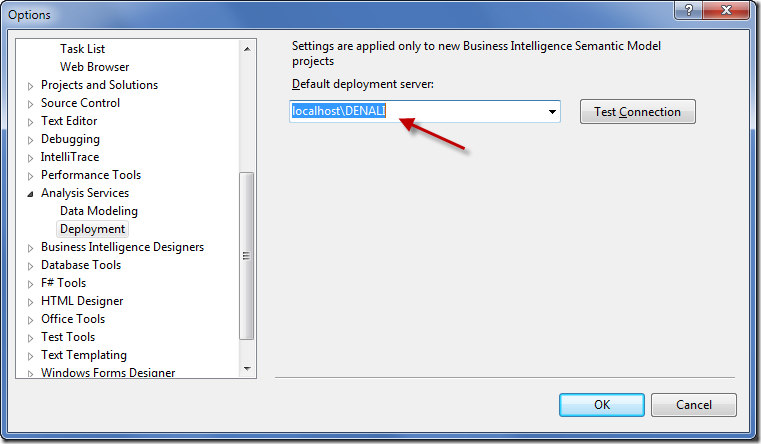 If you want to change the default settings for any new project, in order to avoid the error message I previously mentioned, you have to go in the ToolsOption dialog box and in the Analysis Services Data Modeling and Analysis Services Deployment settings you can set the corresponding default values for Workspace Server and Deployment Server. I have to learn that this is the first thing to do as soon as I will setup any new development workstation for BISM Tabular.